Last year, it seemed like Tesla was on top of the electric car game. With an acceleration rate of 0-60 miles per hour in 2.5 seconds, there weren’t really any other models that could hold a candle to Tesla. However, that all changed with the introduction of a new model: the Aspark Owl. The Japanese electric car clocked in at 0-60 in 1.9 seconds, beating out all other competition and holding the title of the fastest electric car in the world. This past November, Tesla’s Chief Executive Elon Musk unveiled plans to produce “the fastest production car ever.” Musk says that the car will be able to go from 0-60 in 1.9 seconds, and plans to start production for the vehicle in 2020. Unfortunately for Musk, the Aspark Owl already beat him to it, as the Owl’s incredible acceleration speed was captured on video this week. Before the Owl, Tesla was definitely one of the top dogs in the automotive industry. Tesla’s utilizes industrial automation equipment to produce high-quality vehicles, a factor that has allowed Tesla to stand out amongst the ranks. In 2017, Tesla rolled out the Model 3, which is advertised as a smaller, more affordable car in comparison to the Model S, Tesla’s flagship vehicle. The Model 3 was specifically designed to be the safest car in its class and achieve 220 miles of range while maintaining an affordable price, starting at $35,000. With the introduction of the Aspark Owl this year, there seems to be a new kid on the block. 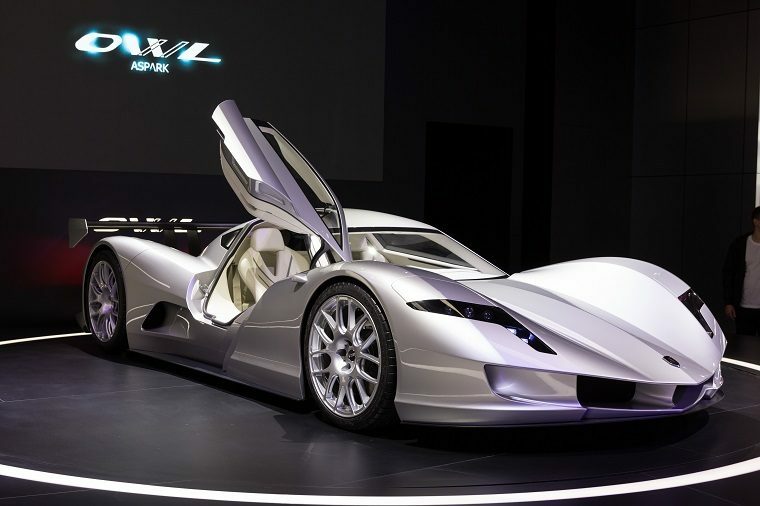 The Owl, which has apparently been under development since early 2014, also had a goal to be the world’s fastest accelerating electric car, a goal Aspark developers seem to have accomplished. The Owl is extremely lightweight (1,874 pounds, to be exact), which can contribute to its speed, but the mystery surrounding the new vehicle is causing many people to be skeptical. In the footage released, we don’t actually see the speedometer, and while the car appears to be going the speed it claims, it’s impossible to really know at this point. Another qualm that raised doubt in many people’s’ minds is that Aspark didn’t use road-legal tires in this test run, but rather racing slicks. The Aspark Owl is rumored to cost $4 million, a far cry from Tesla’s more affordable cars. Little is known about the Aspark Owl, and it’s unclear if the car will actually be sold in the US, but it will still be interesting to keep an eye out for both Tesla and Aspark releases in the next few years.